This new course is for the AQA specification first examined in summer 2017. The new English Literature course has been developed to prepare students for the AQA English Literature specification 7711/7712. The course will examine literature from a historical perspective to encourage independent study of a range of texts within a shared context. This approach facilitates the inclusion of a range of wider reading, thus extending students’ experience and appreciation of literature. Offering clear progression from GCSE, the course allows students to build on the skills and knowledge already gained and prepare for their next steps. These skills are valuable for both further study and future employment opportunities. 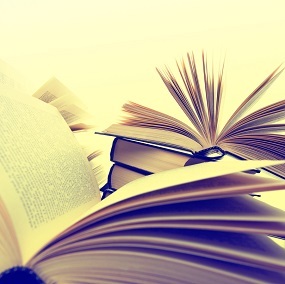 The module on Literary Analysis is designed to help you develop the skills you will need to achieve the best possible grade in English Literature ‘A’ level. It is equally relevant for both the AS and 2nd Year studies to come. These lessons are intended to enhance your ability to get the most out of a whole variety of texts by reading, observing closely, understanding and appraising. It also aims to help you communicate your responses concisely, relevantly and effectively. This module follows on from your work on Literary Analysis and focuses on the poems included in the AQA Anthology of Love Poetry (pre-1900 poems). In the course of the lessons, we go through the poems one by one, looking at them from all the angles suggested by the AQA specification. In the final lesson, that understanding of each poem is reinforced by a consideration of a variety of critical approaches to these poems and to poetry in general. This module shows how love has been represented in English Literature over the last six hundred years. By adopting a chronological approach, we will be able to see how ideas of love and expectations of how to write about it have changed over the centuries. We will look briefly at the work of many of our greatest poets, playwrights and novelists. We will see how their works were read (or watched) and understood by their contemporaries and how they have been received since. After an introduction to the work of Shakespeare in general, this module looks at Othello, a tragedy with a disastrous ending, entailing the fall and suicide of the hero. Shakespeare had a special formula upon which all his great tragedies are based. He makes his hero a great man with many fine qualities to his character, but always among them there is one little flaw or weakness. Then he puts him in a situation he is unable to deal with, and as a result he is brought to ruin. Popular from its many film and TV versions, Jane Eyre is the story of a young governess who finds herself falling in love with her employer, Rochester, only to find that he is already married and cannot fulfil his promises to her. If you take the AS exams, you will be comparing Jane Eyre with Hardy’s Tess of the d’Urbervilles. If you take the A-level, you will be comparing Jane Eyre with two poems from the pre-1900 Anthology. In each case, the exam question is likely to be about some aspect of love, in the widest sense, so that will be the focus of this module. Hardy’s story of a Wessex milkmaid is thought by many to be the greatest novel in the English language. This module is intended for AS level candidates only. If you are not taking the AS exams (i.e. you are aiming for the “full” A-level exams only), then you should skip this module. AS Paper 2 candidates are expected to compare Tess with Jane Eyre. The exam question is expected to ask you to compare and contrast the two texts in terms of some aspect of love. Owen Sheers is a Welsh poet, author, novelist and scriptwriter. The title of the collection, Skirrid Hill, comes from the proper Welsh name, ‘Ysgirid Fawr’ which means ‘shattered mountain’. Skirrid Hill is a hill in Wales and is seen as his muse throughout the anthology, especially in the last poem. In the exam, you will be given a choice of two questions about Sheers and you will answer one of them. Michael Frayn’s novel, Spies, is one of three set texts (and the only novel) you must study for Paper 2 (Texts in Shared Contexts) of your full A-level course. This course has opted for Option 2B: Modern times: Literature from 1945 to the present day. Spies is about the experience of a young boy living in suburban Surrey during the Second World War as he tries to come to terms with some mysterious goings-on in his own neighbourhood. Are there spies about? Spies (2002) won the 2002 Whitbread Novel Award and the 2003 Commonwealth Writers Prize (Eurasia region, Best Book), and was shortlisted for the Whitbread Book of the Year. Frayn was also the recipient of the 2002 Heywood Hill Literary Prize. The chosen comparative text to go with Spies is Tennessee Williams’s A Streetcar named Desire. Although written in another country and a number of years earlier, Williams’s play shares quite a few common themes and ideas with Frayn’s novel. Streetcar is one of the best known plays of American theatre. You might also try to watch Elia Kazan’s film of the play, starring Marlon Brando and Vivien Leigh, and take any opportunity to watch a production of the play in the theatre. Jane Austen’s Mansfield Park is Oxford Open Learning’s primary chosen text for the non-exam (coursework) element of the AQA A-level requirements. Mansfield Park, one of Jane Austen’s six completed novels, is the story of Fanny Price who is “rescued” from a relatively impoverished background by more prosperous relatives and brought to live in Mansfield Park where she is one of a group of young people engaged in various courtship games and amateur theatricals. A-level candidates are required to compare two texts and there is considerable latitude about the choice of the second (comparative) text. An independent choice should be made and each candidate must produce original work based on independent study. Comparative titles are given for five possible choices of comparative text and supporting resources are available. 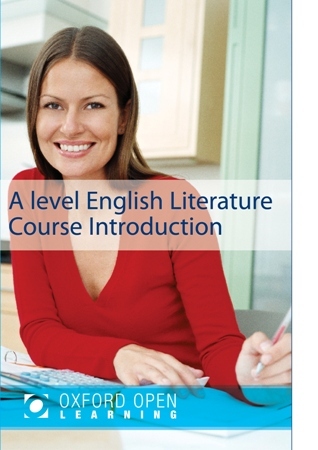 The course prepares students for the AQA English Literature A level specification 7711/7712. The AS papers (7711) may be tackled as a one-off qualification but AS results no longer contribute towards the full A level grades. Students will be able to achieve grades A* to E.
Students would normally be expected to have a minimum of four GCSEs at Grade C and above, including English GCSE.